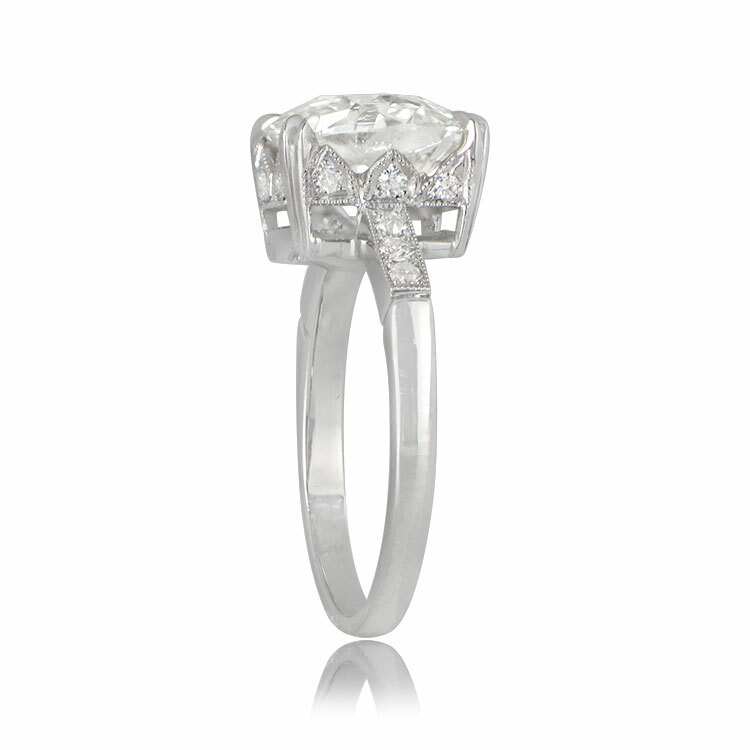 The center antique cushion cut diamond weighs approximately 3.44 Carats, with L color and a rating of VS1 clarity. 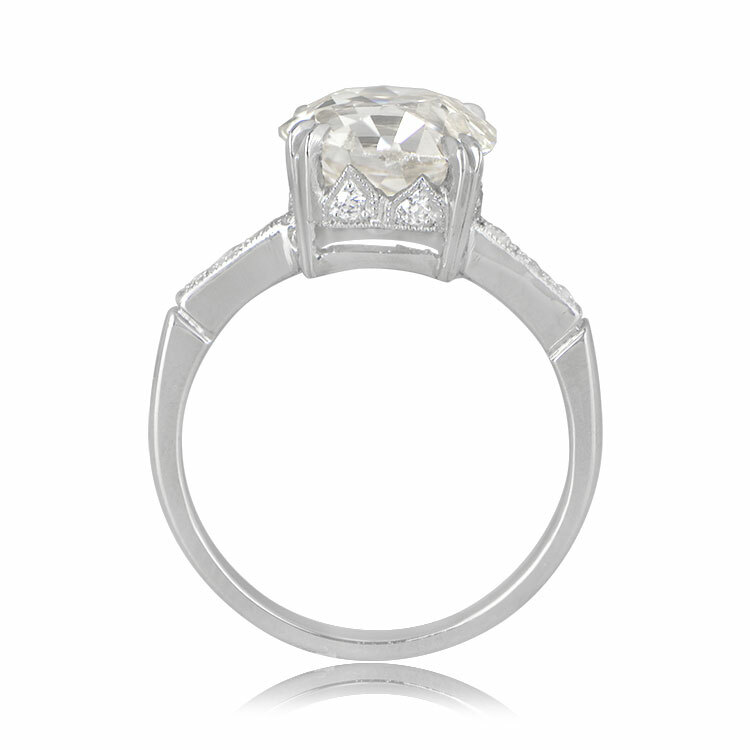 The antique diamond is circa 1900, making this a splendid example of an art deco inspired cushion cut engagement ring. 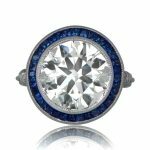 To complement the center diamond, the ring also features brilliant secondary diamonds accenting the shoulders and mounting, as well as a stunning basket-like gallery and delicate milgrain detailing. This ring is platinum. The approximate measurements of the center elongated antique cushion cut is 9.60mm x 9.00mm x 5.95mm. 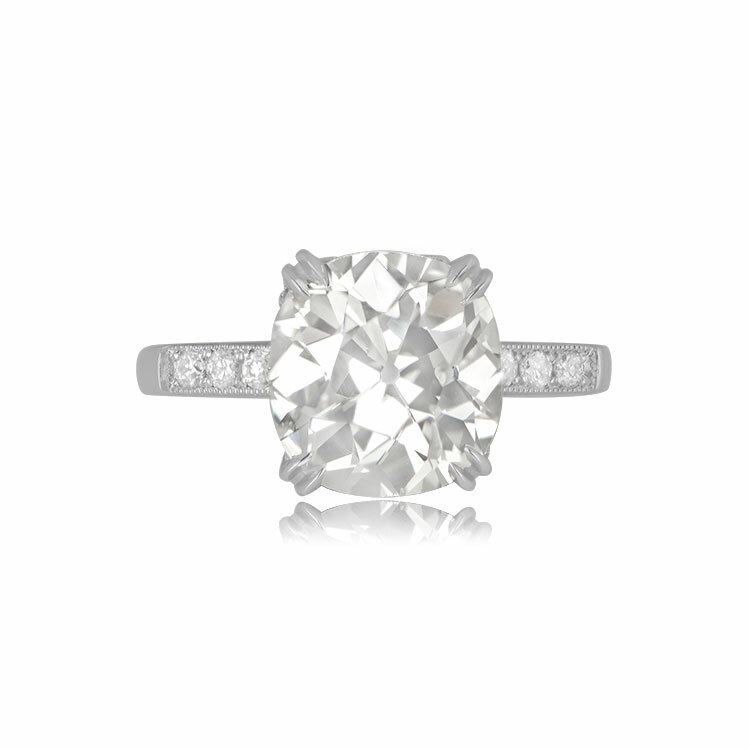 Antique cushion cut diamonds this shape are hard to find. 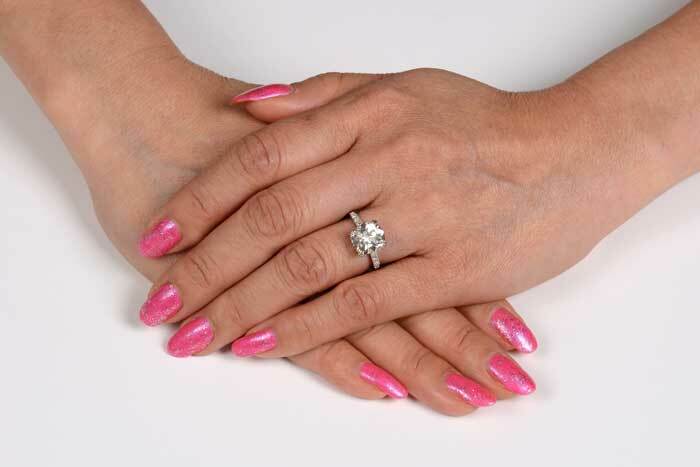 If you have any questions about this ring from our collection, please feel free to contact us. 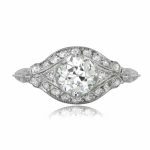 SKU: 12180 Categories: Cushion Cut Engagement Rings, Vintage Engagement Rings - Contact us and request additional pictures.